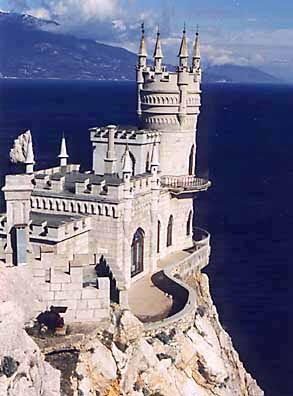 Built in Haspra above Aurora's Cliff according to the designs of the architect A. Sherwood. Designed as a medieval castle. Beside it are the ruins of an ancient Roman fortress of the lst-3rd c. On the site of the Ai-Todorsky lighthouse is a collection of light-house bells.